I'm trying to grow some greens for Duchess. She's eating them as soon as they emerge. Just as well, even though I was hoping she would leave them grow a bit more. 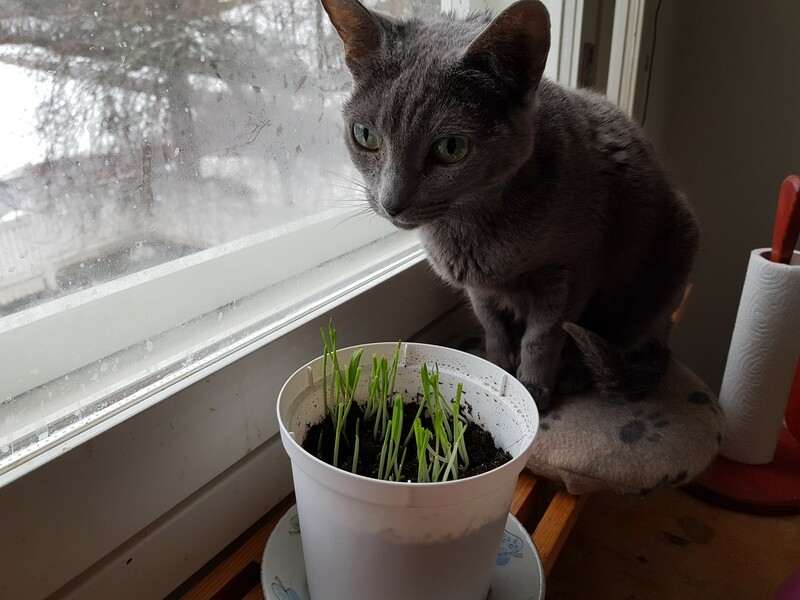 Beautiful Duchess is not waiting for her kitty greens to grow!